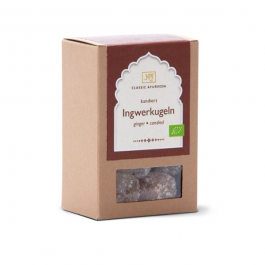 These fruit confections are made with organic Amla fruit that are both healthy and delicious. 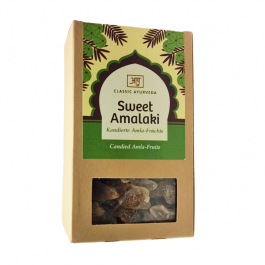 The energising combination of almond with the sour Amla fruit (Amalaki) makes a healthy, delicious candy. 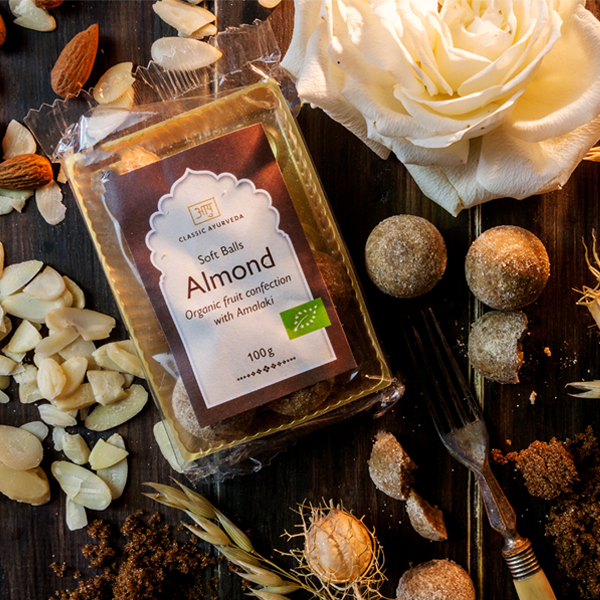 The sweetness comes from organic dates.